Along with more than 200,000 law-abiding Right-to-Carry permit holders in Tennessee, I am disappointed Governor Phil Bredesen vetoed House Bill 962. This bill would extend self-defense rights of permit holders to restaurants. This is a shock and a major disappointment to gun owners and supporters of the Second Amendment because Governor Bredesen had committed to supporting this legislation. 36 other states, including seven states that border Tennessee, provide this protection to law-abiding citizens. 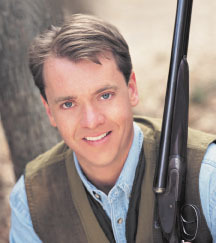 During the 2006 campaign, Governor Bredesen assured Tennesseans — and the NRA in writing — that he would support this effort. NRA’s endorsement of Governor Bredesen that year centered largely on this promise. Today, that trust has been betrayed. In his veto message, Governor Bredesen talked about his concerns with mixing firearms and alcohol. But he conveniently failed to mention the absolute prohibition, with grim consequences, for any permit holder who has one sip of alcohol while carrying a firearm. He also ignored the provision which allows restaurants to prohibit carrying firearms in their establishments by simply posting a sign. The provisions of HB 962 are more restrictive than the laws of many of the 36 states that allow restaurant carry. And, it is important to note that despite Governor Bredesen’s dire predictions, these states have not experienced problems because law-abiding gun owners are just that, law-abiding. The reality is that crime does happen in our restaurants. We are reminded by the headlines of senseless attacks on honest people that occur in restaurants, cafés and even fast food outlets all across our country, including in Tennessee. On April 2, 2009, Benjamin Felix Goeser was gunned down at Jonny’s Sports Bar on Nolensville Road in Nashville. His wife, Nicole Goeser has a Right-to-Carry permit. But, she had to keep her gun locked in the car because of Tennessee law. No one knows what the outcome might have been that evening if Nicole had had her firearm with her. All Nicole wanted was a chance — a chance to save her husband’s life. House Bill 962 will not bring back Benjamin Goeser or ease Nicole’s sorrow. But, it would give other good, law-abiding Tennesseans that chance to defend themselves and their loved ones. The Tennessee Legislature understood that. That is why this common sense measure passed both chambers with overwhelming, bi-partisan support. We pledge to work to override this ill-conceived veto. That is NRA’s promise. And we intend to keep it. Chris Cox grew up in Jackson and graduated from Rhodes College in Memphis. I know this is a month later but what was the arguement about? Parking too close to another’s vehicle?